Inline Nurseries is a wholesale nursery and as such, we do not sell to the public. Our customer base ranges from independent garden centers to landscapers and includes municipalities, specialty nursery stock providers and wholesalers. At Inline we pride ourselves on our quick, efficient and organized shipping systems. The use of pallets, crates and rolling carts allow our customers to receive their shipment of plant material in the most efficient manner. Can I tour Inline Nurseries? We welcome anyone who wants to tour our nursery! We do appreciate a call in advance so we can make sure to have staff on hand to help you. 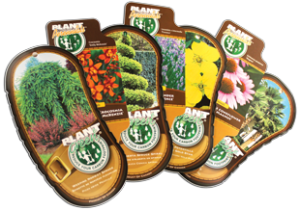 Our pricing includes all royalty fees, and stickered pots with Planet Green/Planet Perennials tags (when available). Our prices do not include delivery unless otherwise stated. Does Inline Nurseries ship outside of British Columbia? We can provide competitive freight rates to your location regardless of where you are. Our policy is to provide prompt, reliable and hassle free shipping anywhere in North America. Inline has established relationships with trucking companies which make it easy for us to take care of ordering trucks for you. However, if you prefer to arrange for your own transportation, we will gladly work with you on this as well. If you have any questions regarding the shipping of our product, please feel free to contact us directly.